At the end of this post you will find the selection results of candidates under Erasmus Mundus scholarships for Intake 1 (2018-2020) of emPLANT. The file contains a main list and a reserve list for the two categories of applicants: Partner Country and Program Country candidates (see differences between both categories here). 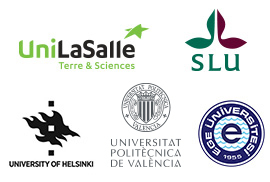 Selected applicants for an EM-scholarship are listed in the main lists. Some of the candidates on the reserve lists who have mentioned the fact they have self-funding possibilities will be contacted by the emPLANT Executive Board during the last 15 days of March 2018 to pass an interview. All applicants (both main and reserve list) are going to receive an e-mail from the emPLANT Executive Board with information about the selection results.